If triskaidekaphobia is the fear of the number 13, the best descriptive for Italy-born, French-reared Aldo Romano’s newest project might be triskaidekamoré. The drummer’s fourth Dreyfus project, Origine, recorded with a 13-piece European band, is a dandy. My favorites: his 10/4 rhythm exploration on “Gamelan,” as well as the gorgeous ballads “Touch of a Woman” and “Starless Night.” Brothers Stephane (trumpet) and Lionel (saxes, flute and arrangements) Belmondo shine here. Pianist Eric Legnini is spotlighted on “Touch of a Woman.” The leader changes gears a bit on the closer, switching to guitar and vocals for “Jazz Messengers” a tribute of sorts with lyrics (in French) by Yves Simon. Pianist Ellen Rowe explores nine originals (plus the standard “Alone Together”) with her quartet and two special guests: trumpeter Ingrid Jensen and tenor player Andy Haefner. Rowe’s originals are vivid sound paintings that happen to swing mightily. Jensen is a wonderful addition on two tracks: the Rachel Carson-inspired “That Which Was Living, Lost” and the Kenny Wheeler-influenced “Longing.” Other favorites: “Night Sounds” and the title track, “Wishing Well.” The pensive “For Donald,” written in memory of late saxophonist Donald Walden, features two of his students, Haefner and Andrew Bishop. The quartet members featured throughout are Rowe, Bishop, bassist Kurt Krahnke and drummer Pete Siers. This is a gem in every respect, revealing much to savor on every track – and a well-above-average sound quality. Rowe is a University of Michigan School of Music faculty member. Go Blue. 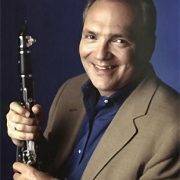 This latest from clarinetist and tenor saxophonist Ken Peplowski finds the Swingman in great company – and stretching the stylistic range beyond what his fans may be used to. His quartet mates include pianist Shelly Berg, bassist Jay Leonhart and drummer Joe La Barbera. My favorites: their take on Berg’s “Home With You,” Duke Ellington’s little-heard “Bourbon Street Jingling Jollies,” Strayhorn’s title track and Peplowski’s own “Little Dogs” – an off-kilter blues. This is a tasty session. Turkish-born electric bassist Alper Yilmaz, now based in New York, has produced his second CD as a leader and the followup to 2007’s Clashes is quite intriguing. He’s got a great feel for sound – and composes a range of creative works. Alto saxophonist David Binney is aboard for this project and I particularly like the way “Misir with Grandma” showcase his melodic side. Yilmaz’s extended piece “Straight Up” opens rather pensively but gradually builds in momentum to close with great ferocity. “Cagdas’ Tune” (based on a theme by Cagdas Arpac) and “Over the Clouds” are fine ballad treatments. Guitarist Nir Felder, drummers Bodek Janke and Volkan Oktem, with a couple of guest artists joining on the sonically-enhanced title track.